Ross & Cromarty Roots | John & Martha Macdonald & family. John & Martha Macdonald & family. Erected by/the Free Church Congregation/of Fearn/in loving rembrance of/their first pastor/the Rev. JOHN MACDONALD M.A./who entered into his eternal rest/on 2nd August 1880/after a ministry of nearly 37 years/and in the 73rd year of his age. Blessed are the pure in heart for they shall see God./A good name is better than precious ointment: and the day of/death than the day of one's birth. He manifested during his whole/ministry a true and earnest/devotion to the cause of Christ/unremitting zeal in proclaiming/the gospel of grace and unswerving/attachment to the principles/of the Free Church/In humbly and self-denial/in forbearance towards all men/in sympathy with the distressed/in ardent love to souls/andspecially in overflowing tenderness/to the young, he is a living/epistle of Christ. Beloved and revered as father/pastor and friend, his hallowed memory will long be cherished. 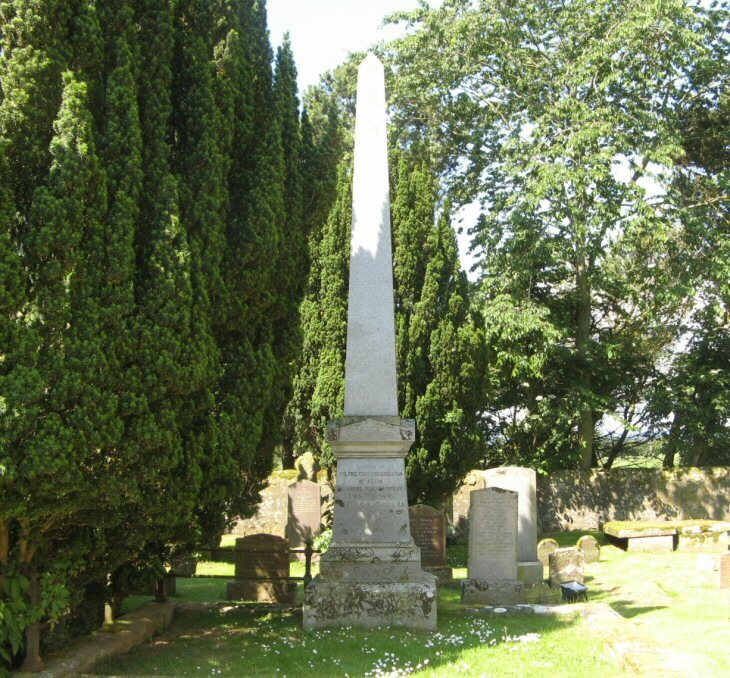 Also/in loving memory of/JOHN GEORGE MACDONALD/medical student/died 28th October 1889/aged 20 years/and of his mother/MARTHA ROSS MACDONALD/the beloved wife of the/Rev. JOHN MACDONALD/died 20th March 1898/aged 74 years both interred in Edinburgh. MARY HENDERSON McDONALD/born 8th March 1854/died 18th July 1855/GEORGE McLEOD McDONALD/born 18th May 1861/died 8th December 1865. Picture Added on 18 July 2011.